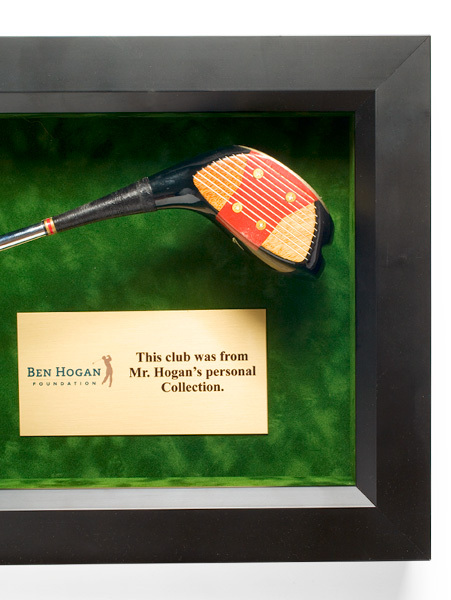 Donations to the Ben Hogan Foundation support the Foundation’s charitable efforts and also honor and preserve Ben Hogan’s legacy. 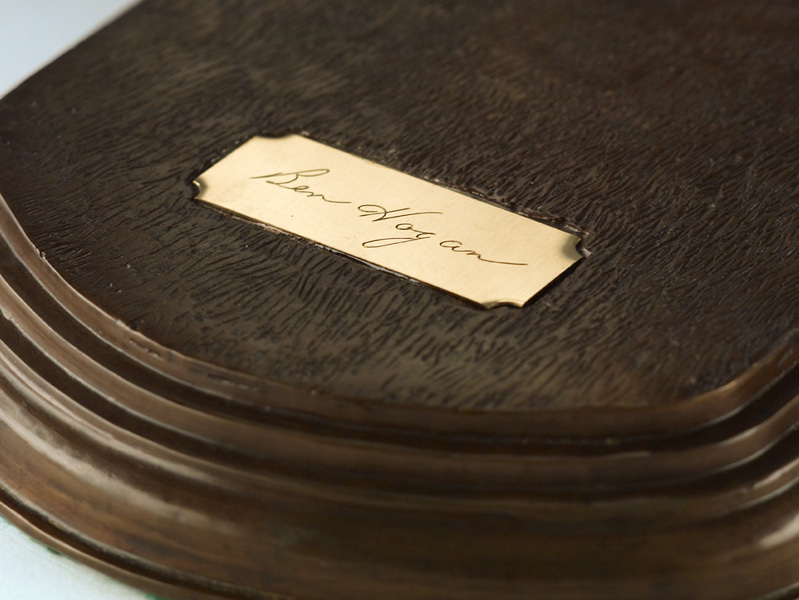 Depending of varying levels of endowment, donors will receive unique Ben Hogan memorabilia as a token of appreciation for contributing. 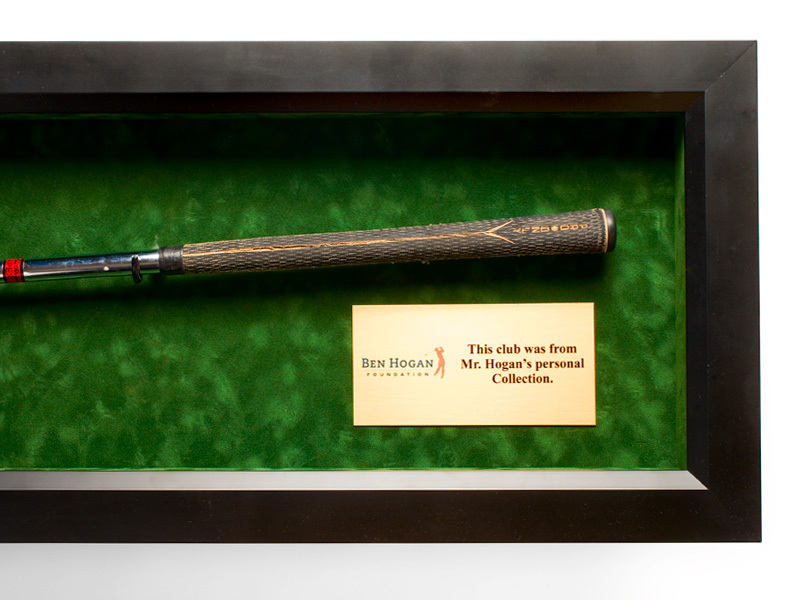 Ben Hogan memorabilia items include a limited number of “Hands of the Hawk” bronze reproductions, golf clubs from Mr. Hogan’s personal collection, commemorative plates or champagne flutes. 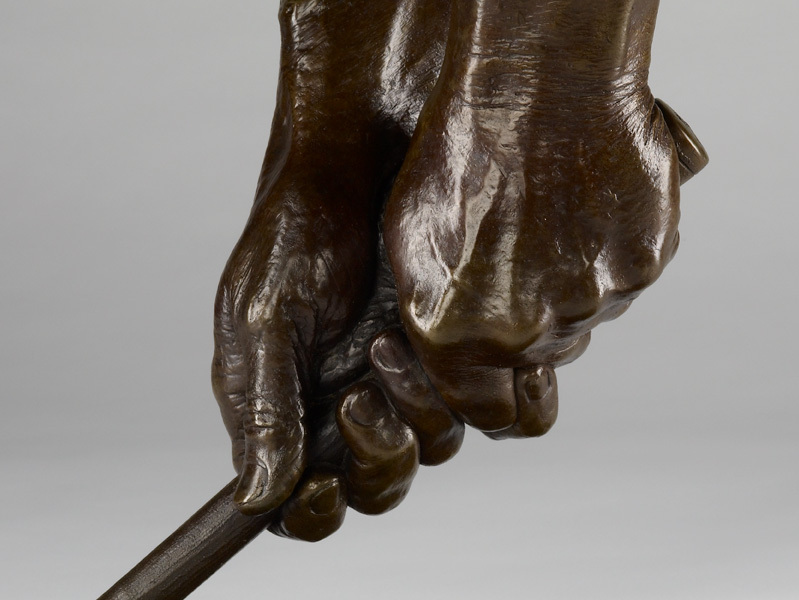 Hogan believed that a fundamental grip was one of the most important aspects of the game, stating in his book: “Good golf begins with a good grip.” In the 1980s, George Coleman began the quest to have bronze replicas of Hogan’s hands created. 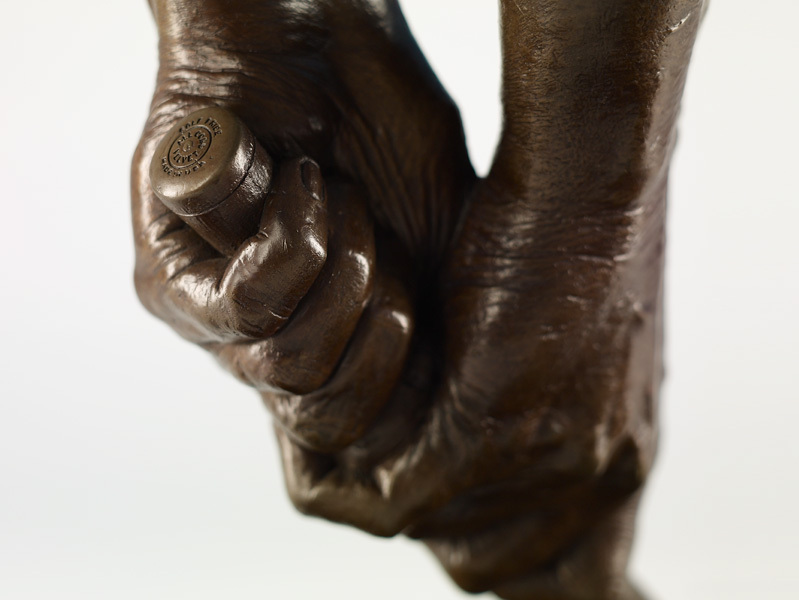 Ultimately, it was Hogan’s friend, Fort Worth dentist Dr. William Cowan, who created the bronzes – immortalizing what has become known as the perfect golf grip. 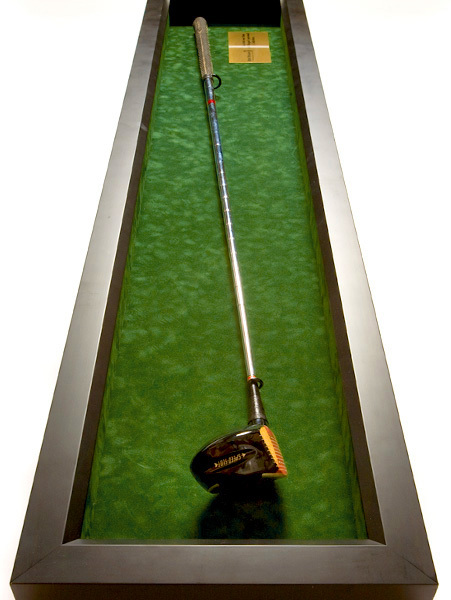 Only three bronzes exist in the world – one in the United States Golf Association Museum in Far Hills, New Jersey; one on display at Colonial Country Club; and one in a private collection. 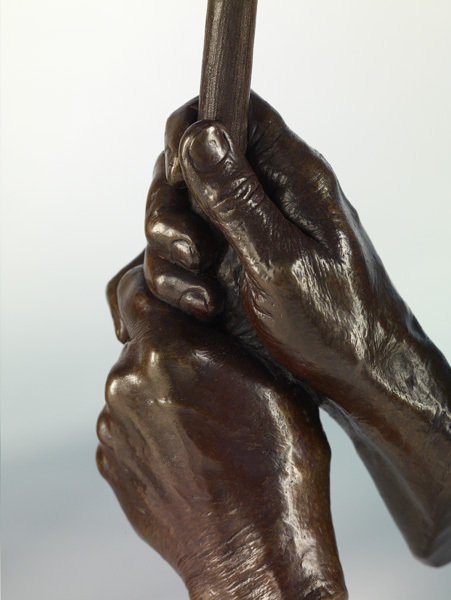 Donors who contribute a tax-deductible* gift of $10,000 or greater will receive a reproduction of the 1980s bronze replica made of Hogan’s hands holding his golf club – the perfect golf grip. 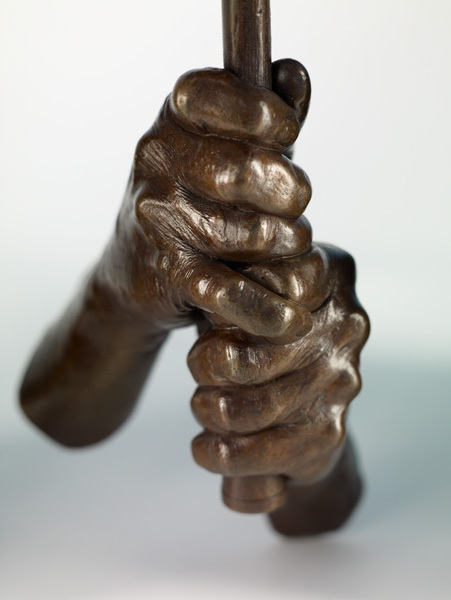 Thanks to Hogan heirs, the Foundation has been granted the right to reproduce 100 bronzes – named “Hands of the Hawk” – so this opportunity is limited to the first 100 donors. 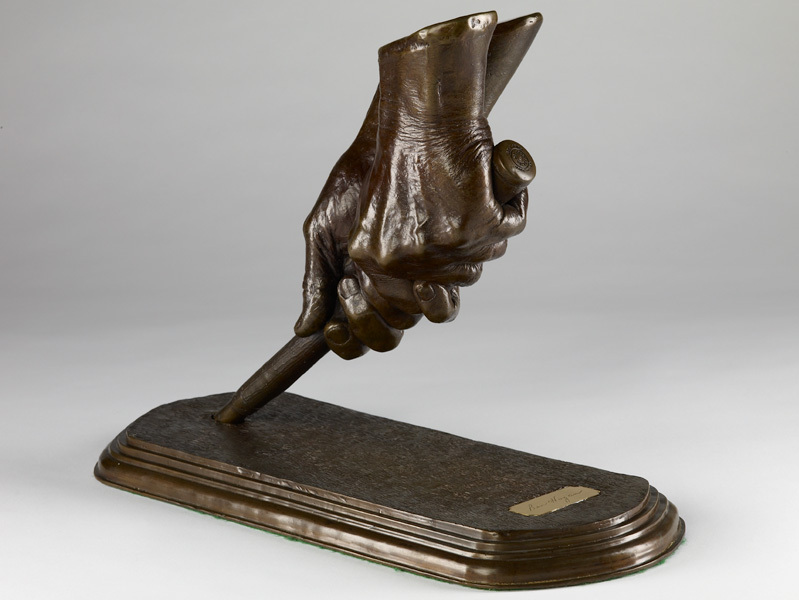 This is a once-in-a-lifetime chance to own a piece of history. 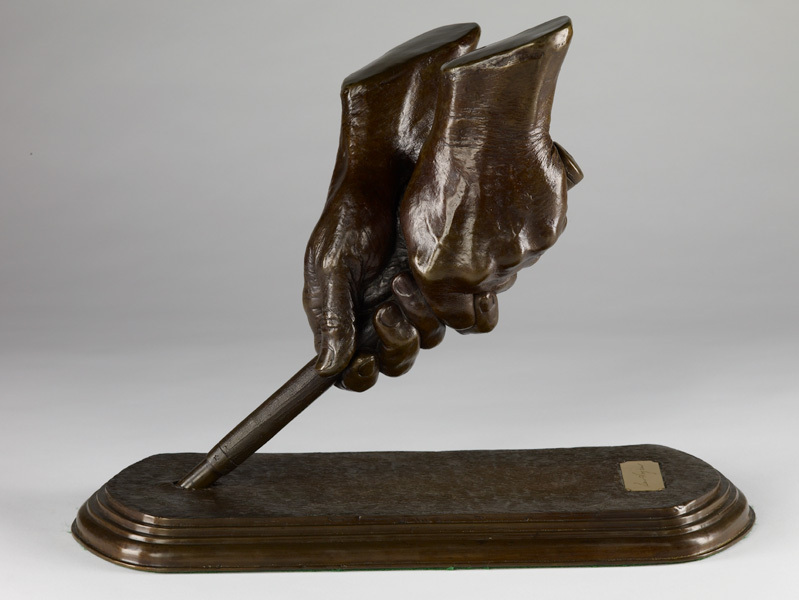 Along with the hands, donors will receive a letter of authenticity. Quantities are limited. 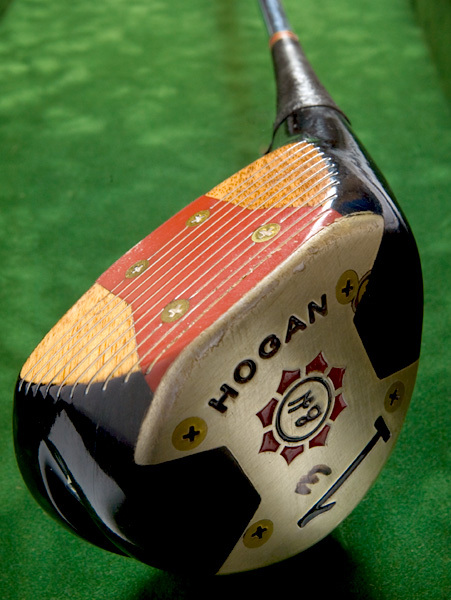 Donors who contribute a gift of $2,500 or greater will receive a golf club from Mr. Hogan’s personal collection. 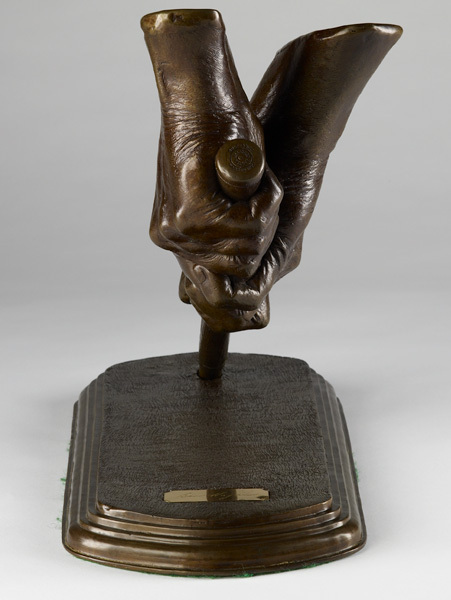 The club will be framed in a beautiful shadow box with a plaque and will be accompanied by a letter of authenticity. Quantities are limited. 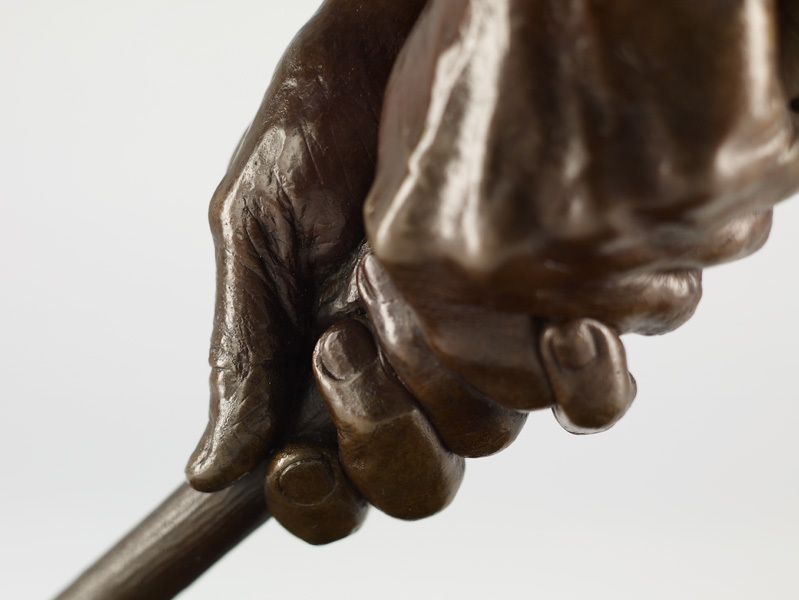 To support Ben Hogan’s courageous legacy by giving to the Ben Hogan Foundation, make your tax-deductible donation online by clicking here. 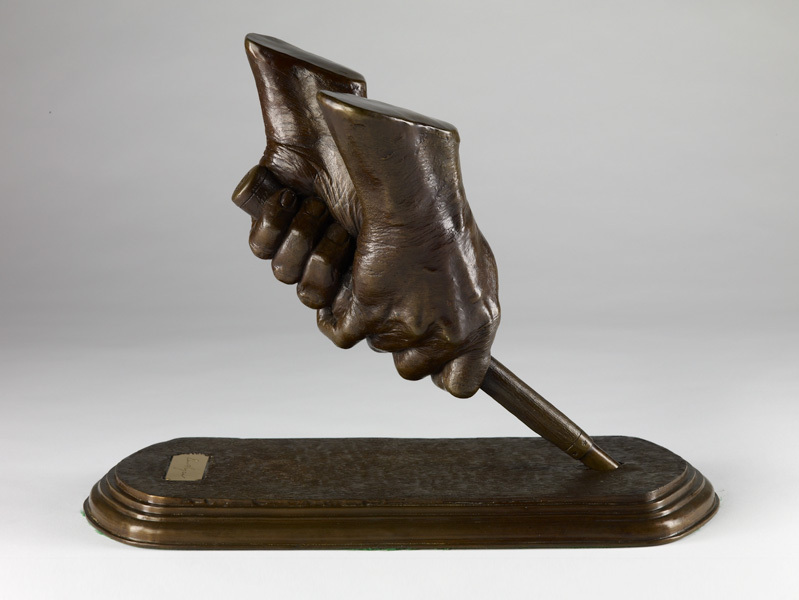 Or, if you prefer, you may call the Foundation at 817-301-9934; write to P.O. Box 121518, Fort Worth, TX 76121-1518; or contact us. *The deductible amount of your contribution for federal income tax purposes is the amount by which your contribution exceeds the value of the goods you will receive, subject to any limitations that might otherwise apply.